from 160 pcs. 0,34 EUR ea. 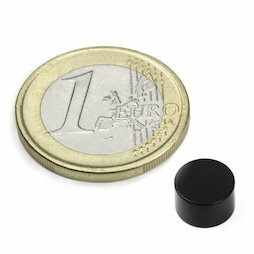 A disc magnet 8 x 5 mm with a Ni-Cu-Ni base coating and a top coat of black epoxy resin. It can be glued or cast with epoxy resin.